Looking for Businesses to Help with Their Recruitment? Let Them Find You First. The recruitment sector is evolving in time with the changes on the digital landscape. As more job seekers go online to find potential companies to take them in, employers turn to recruitment firms to maximize their reach. But, are you there when these businesses start reaching out? 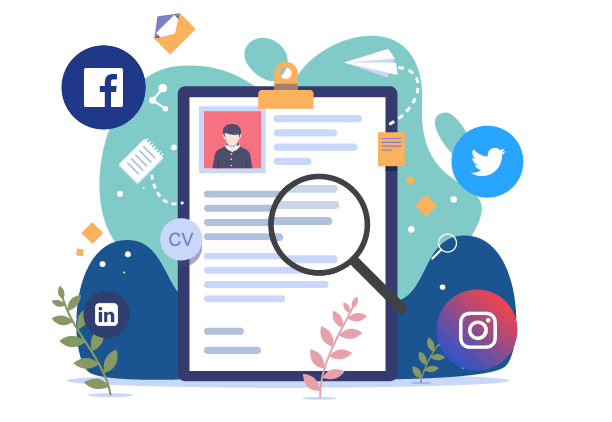 Our digital marketing services for recruitment firms will put you right on top of the list when potential clients search for you. SEO is a key ingredient when you’re marketing your recruitment firm. With a strong presence on search results, you’re driving valuable traffic to your recruitment website. A Google Ads strategy helps your recruitment firm dominate the digital landscape by targeting clients with a high probability of hiring your services. Whether you want a new recruitment website or plan to revamp your existing one, we’ll be there to help. Engage with your audience on the right social media platform. Our strategy leverages targeted content that makes your business the recruitment firm of choice for companies. With the Philippine job market on the rise, recruitment firms need a strong digital presence to get the attention of companies needing help with their hiring processes. Start with a well-executed SEO for recruitment firms. 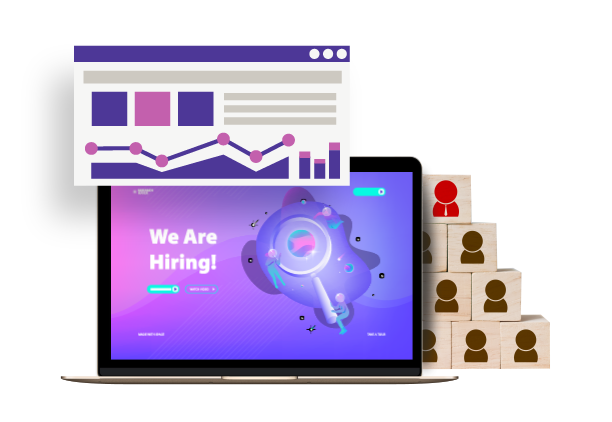 We’ve designed a methodology that ranks the best keywords, leverages quality content, and improves the overall performance of your recruitment firm on search engines. Every aspect of our SEO strategy aims to make your recruitment business ever-present, so clients will find you first. If you’re looking for instant traffic, our tPPC strategy will provide the boost you need for your recruitment firm. We’ve helped businesses locally and globally dominate the digital landscape and complement their SEO efforts with paid search advertising. Search ads – Drive businesses looking for recruitment services to a high-converting landing page. Display ads – We leverage the Google Display Network to provide maximum exposure for your brand. Remarketing ads – It pays to be persistent, and we do this with remarketing ads that follow your clients on every web property they visit. A website is one of the most powerful digital platforms for businesses. 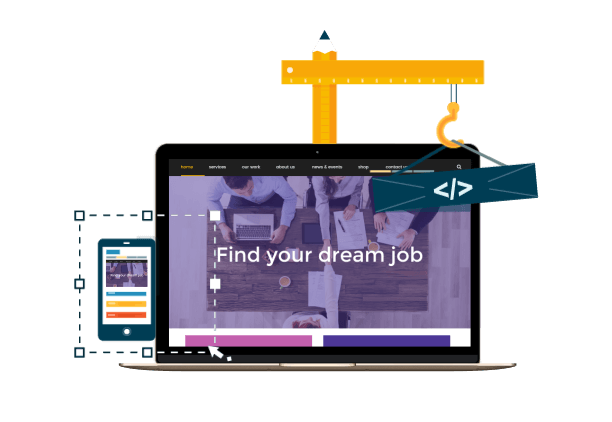 If you want a website that can wow your potential clients and serve as a lead-generating machine, our web design services for recruitment firm can provide you the best of both worlds. We stick to your choice of colors, graphics, and WordPress theme that will give your business the branding push it needs. 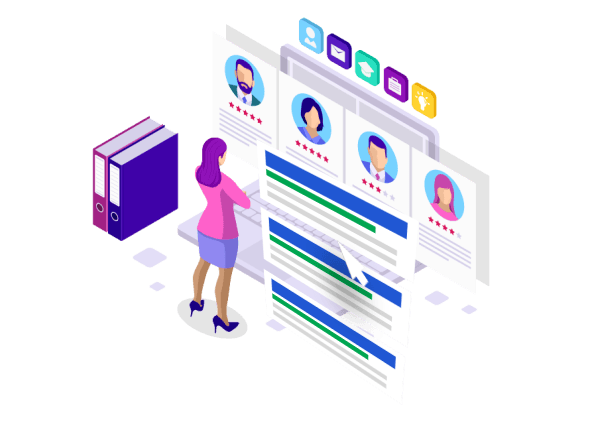 Our web design for recruitment firms follow the best SEO practices to make your site search engine- and user-friendly. Our workflow allows us to be flexible in launching websites for recruitment businesses. We have website designers and developers with ample experience of building sites on different platforms. Looking to ramp up your clientele? Find out how our digital strategies can help!